- Supply 415V, 3 ph, 50 Hz. 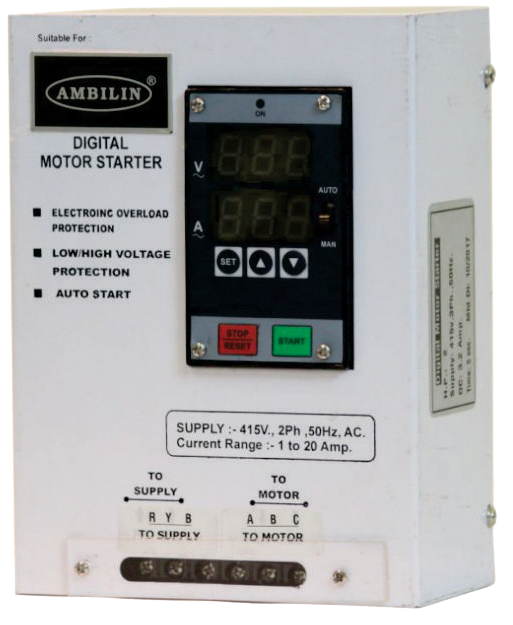 A.C.
- Load Range 0.5 Amp to 20 Amp. - Weight : 1.800 kg.